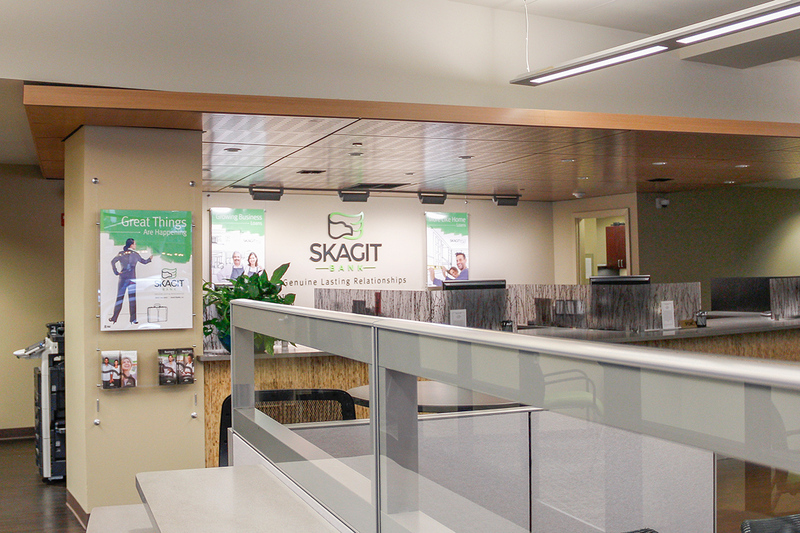 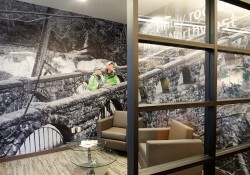 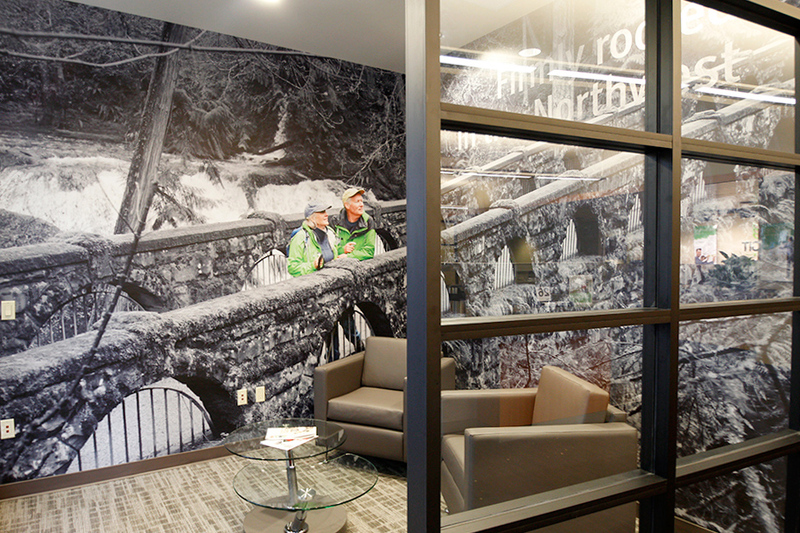 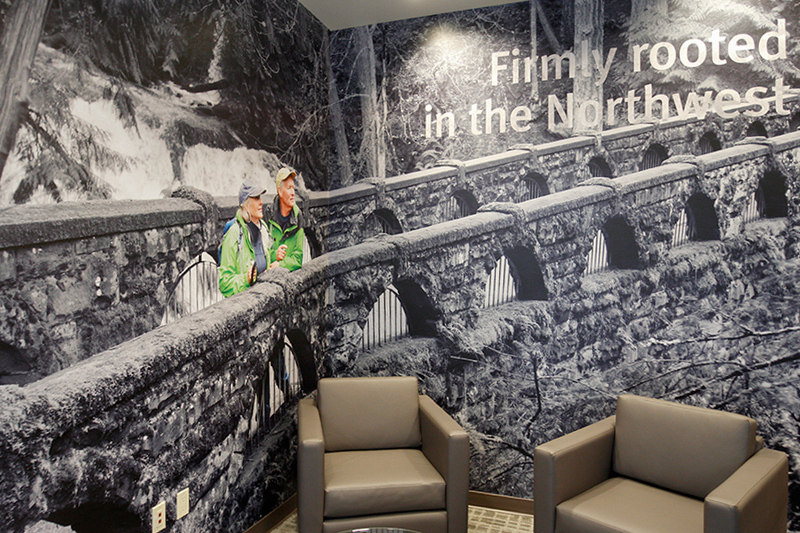 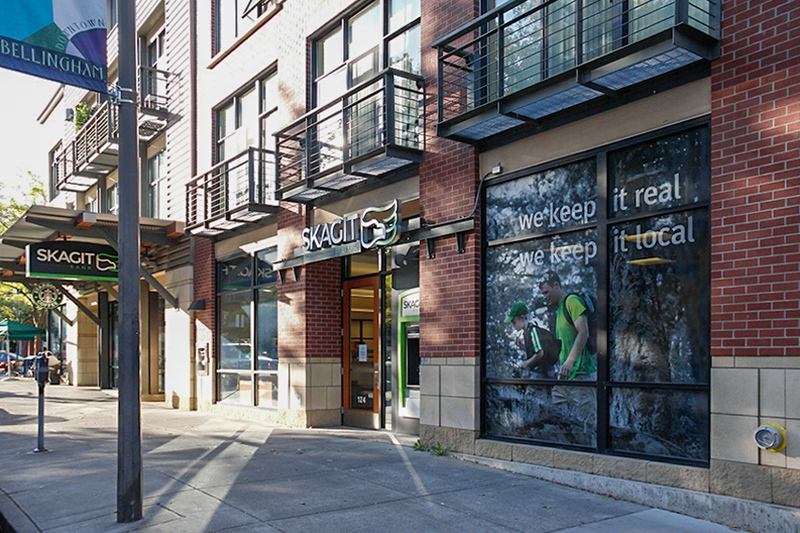 In the days leading up to the opening celebration at Skagit Bank’s new Holly Street office, all the interior and exterior graphic elements we designed were installed. 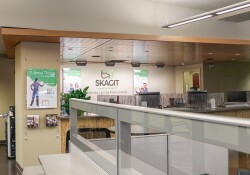 The exterior features a large scale print on perforated vinyl, which both improves brand presence from the street and privacy for the office within. 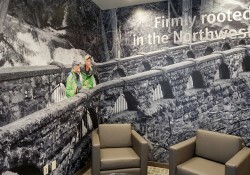 Interior elements include a large vinyl mural, a new brochure and poster display system, as well as dimensional signage. 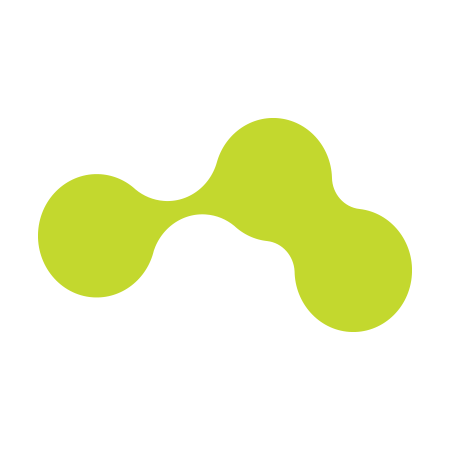 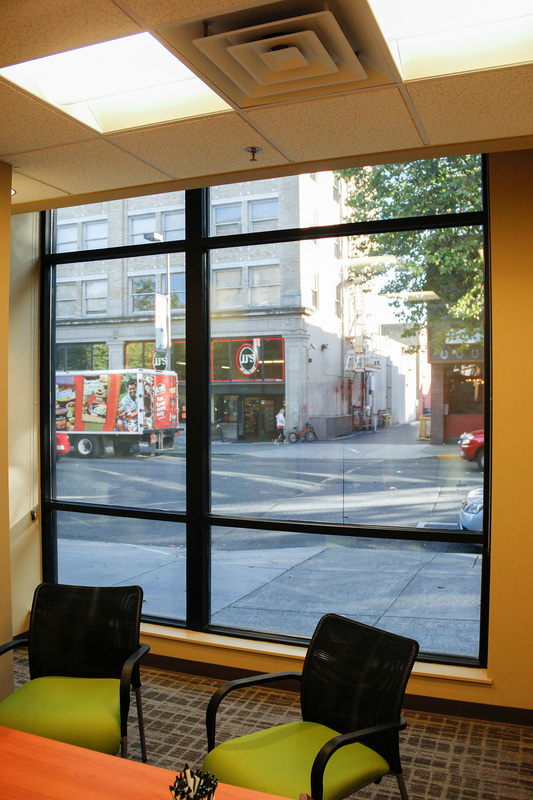 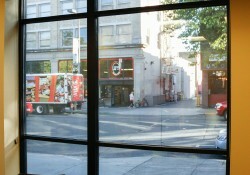 The overall result is a cohesive and stylish office in the heart of Bellingham.